Since its closing in early 2014, I’ve lamented the loss of Lynn’s Chicago Foods—a small, family-owned restaurant located off Geyer Springs Road in southwest Little Rock serving Chicago specialties such as Italian beef and Chicago-style hot dogs. 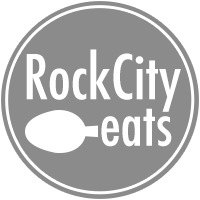 For this city, it was truly one-of-a-kind, and its owners, all transplants from The Windy City, were passionate about sharing the culinary delights of their former home. But for whatever reason, the place never saw the traffic it deserved and eventually closed their door forever. 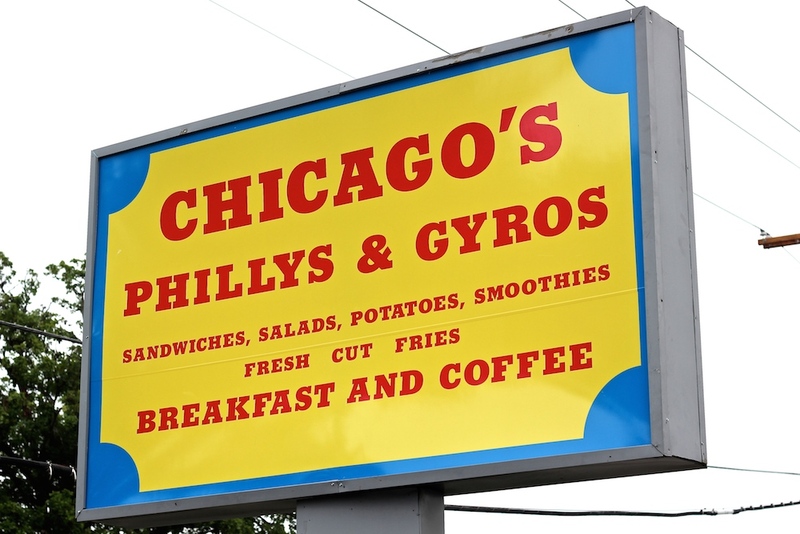 Naturally, when I heard about the opening of “Chicago’s Phillys & Gyros”, I was excited…perhaps a new restaurant would be bringing back that piece of Chicago eating that our city was missing. Chicago’s Phillys & Gyros recently opened to the public at the end of April of this year at the old Boba Teas & Smoothies location at 3600 S. University Ave. 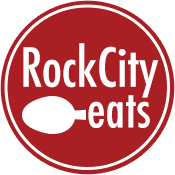 The young restaurant boasts a location directly across the street from the UALR campus, a high-traffic area of town that’s swarmed by hungry students nearly all day long. The restaurant is small and is drive-thru only, without any outdoor or indoor seating—so be prepared to find somewhere else to feast should you decide to pay them a visit. But there is ample parking surrounding the restaurant (so dining inside your car is a reasonable option) with a wide, spacious drive-thru—so getting through and grabbing your order is relatively easy. On our recent visit to Chicago’s, we pulling into the drive-thru space and parked in front of the large menu and intercom-board to place our order. However, we were quickly greeted by the owner, who speedily rushed out from the inside of the restaurant, paper-menu in hand, to personally scribble down our order. (I assume the intercom system is operational, but we never got the chance to use it.) He handed us the menu and explained a few of his favorite items to us. We placed our order and waited in the short line which started at the pick-up window. We waited a bit longer than expected to actually receive our meal, but I suppose the staff are still working out some kinks in the kitchen and will likely pick up the pace with a bit more time. We first sampled the “Chicago Steak” with a side of fries. We were greeted by a soft white roll filled with thinly cut ribeye, hot off the flat-top and smothered in grilled onions, green peppers, mushrooms, provolone, and a cheddar cheese sauce. The steak was flavorful, tender, and juicy, the vegetables equally tasty. But I could have done without the processed cheddar cheese, and probably would have preferred to leave it off—the provolone would have been enough for me. The fries were good quality potatoes, hand-cut, golden brown and served hot…one of the high points of our meal. The sandwich, fries, and soft drink put me back around $8. I had to sample the Chicago dog, too. This was a hefty, Vienna all-beef hot dog, grilled and dropped inside a poppy seed bun, topped with tomato slices, mustard, chopped onion, and neon green relish. Most notably, the traditional sport peppers were missing—but whether this was intentional or accidental, I can’t say. 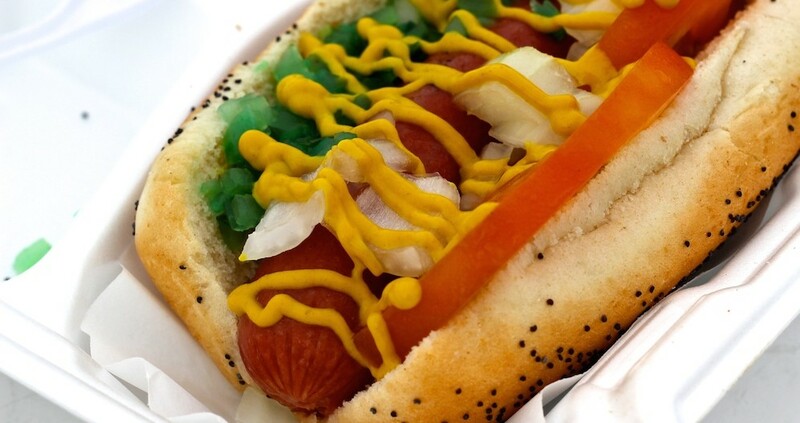 Celery salt and dill pickle, two other traditional toppings on the classic Chicago dog, were nowhere to be found. Chicago’s Phillys and Gyros is also open late—until 10 pm Monday thru Friday and until midnight on weekends, so it’s possible to pick up a sandwich here almost any part of the day. The restaurant is still young and trying to find their stride, but I expect this to make a nice addition to this sector of town—it’s relatively inexpensive, fast, and just greasy enough to keep any hungry college student content. Chicago’s Phillys and Gyros: 3600 S. University Ave. (501) 414-0080. 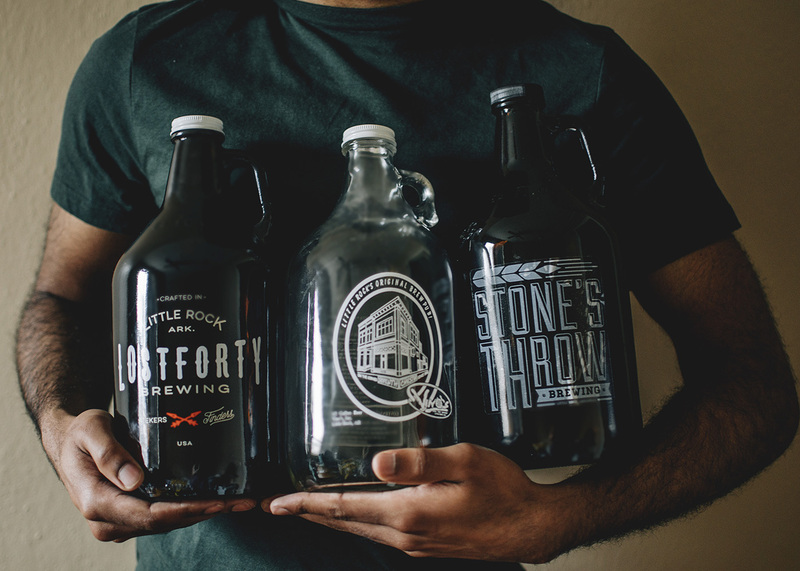 Hours: Monday – Friday 7 a.m. to 10 p.m.; Saturday – Sunday 7 a.m. to midnight.